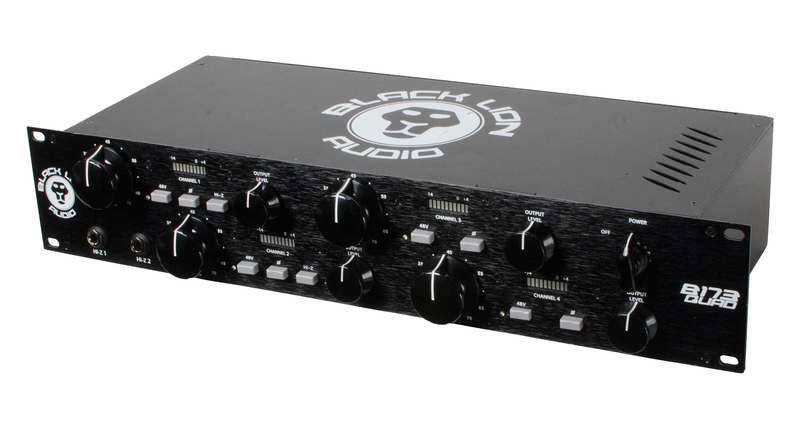 Black Lion Audio proudly present their latest evolutionary advancement in 1073-style preamping. 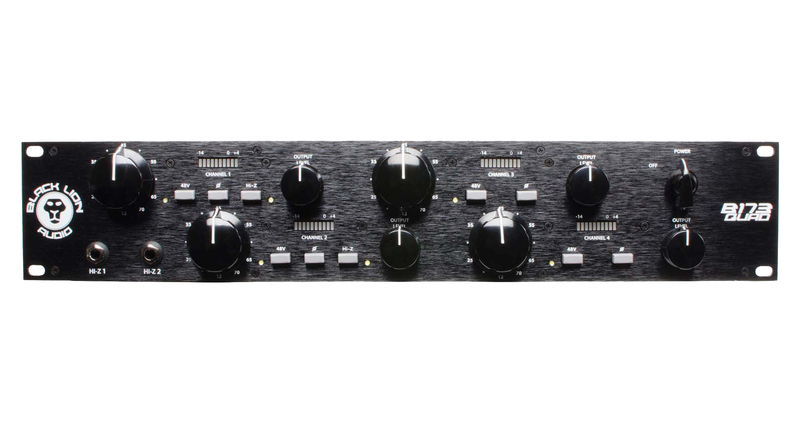 Combining vintage character with modern functionality, the B173 Quad provides four channels of dark British Console tone along with a feature set built to satisfy even the most exacting audio engineering standards. Under the hood several of Black Lion’s signature internals have been employed including Cinemag transformers for warmth, a revamped gain stage for cleanliness, and a lower noise floor for reduced distortion. 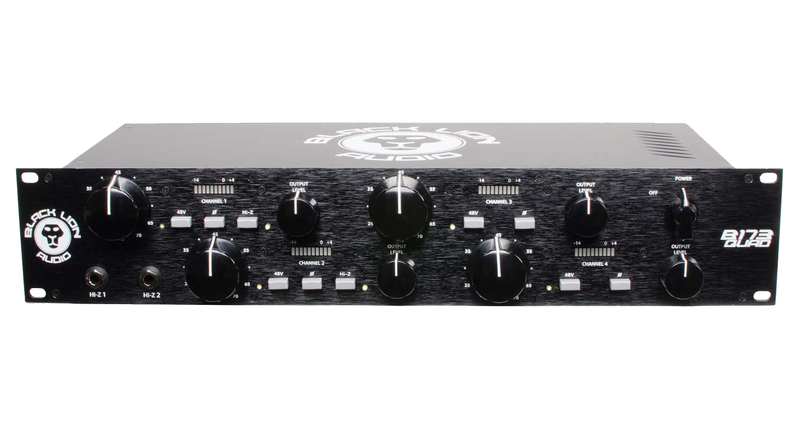 In addition to the four microphone preamp inputs, two DI inputs are also available to add rich harmonic tone to guitars, synths or any other instrument that might find its way into the studio. 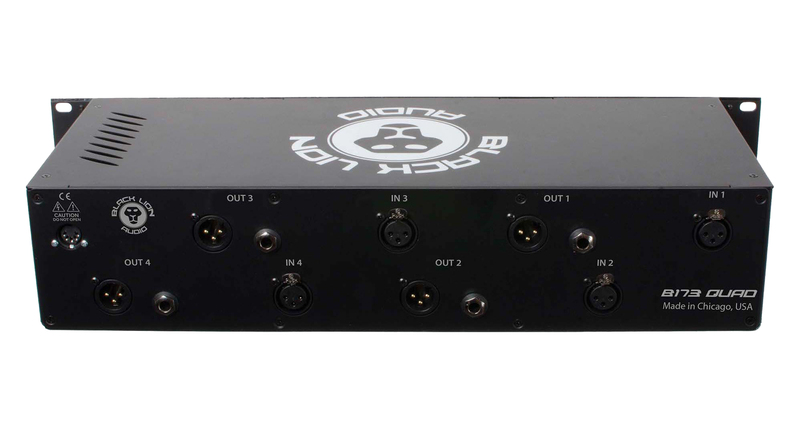 All 4 channels feature dedicated metering displays and the unit fits neatly into a 2U slot in any 19” rack mount space.